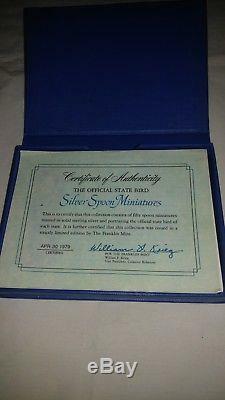 Franklin Mint set of 50 sterling silver miniature. Spoons depicting all the US State Birds. 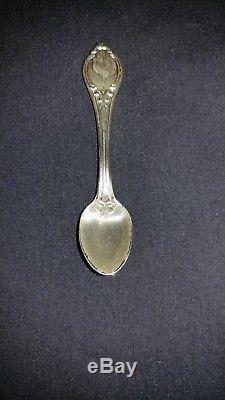 Each spoon has a state bird on the handle and measures 2.5 long and weighs approximately 4.48 grams. 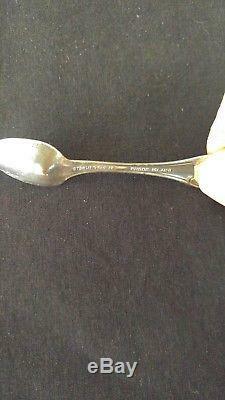 The spoons are in very good condition. 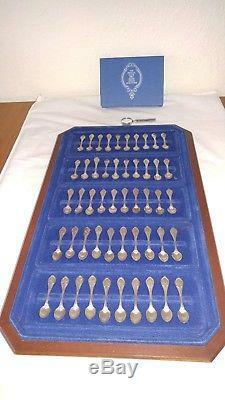 The display case is wood with a blue flocked surface on the spoon display insert and measures 18.25" x 11.25" x 1.875. The blue flocking shows some wear and the wood frame has some scratches (see photos). 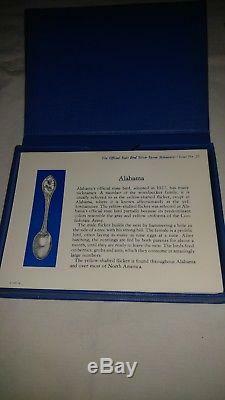 This listing includes the original boxed set of 50 information cards describing each spoon and the state bird it displays. The cards are in excellent condition - no tears, folds, or marks. Also included is the original small magnifying glass in like-new condition. 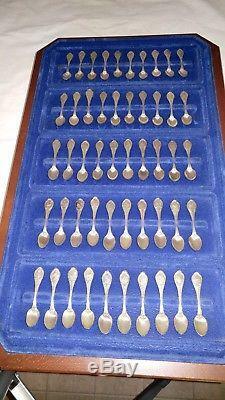 The item "Vintage Franklin Mint set of 50 sterling silver miniature spoons, US State Birds" is in sale since Saturday, November 24, 2018. This item is in the category "Collectibles\Decorative Collectibles\Decorative Collectible Brands\Franklin Mint\Collector Plates". The seller is "budman_42" and is located in Willows, California. This item can be shipped to United States.